Please join me in congratulation all of this month's Featured Of the Month Winners! 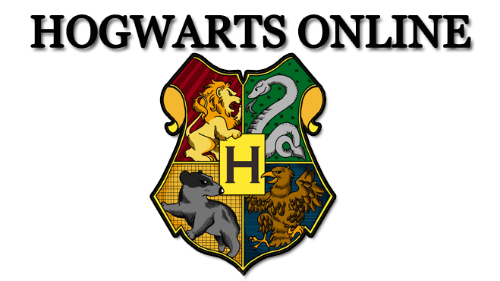 Nominations for April will open soon in the Wizarding Wheezes forum! Aqua is a long time member who has repeatedly demonstrated her strong work ethic and dedication to the site. She currently serves as the Head of Gryffindor House and Staff Leader of the Junior Wizengamot. Under her supervision, the JW planned events have returned to Hogwarts Online with the first being the Valentine's Day event in February. Alden is one of HO's most active students with a true connection to his Hufflepuff roots. He is loyal, kind, and true to a fault. His writer is also another huge contributor to the site. This term, Alden was selected as Hogwarts Head Boy and he truly earned that title. The blossoming relationship between these two Gryffindor students may not be widely known IC, but OOC many of us are familiar with the touching, and occasionally dramatic love story between these two. The writers behind these multifaceted love-birds have also done much to keep HO the gold standard of Harry Potter role play. These two long-time members still manage to captivate with their sensation writing skills. Where Ailsa is abrasive and may punch you in the face, Mathias is charming with the occasional flair for mischief. They are also both incredibly active writers in their own right and are sure to keep us entertained for years to come. Affectionately known by many as Fee, both the character and the writer left a lasting impression on HO over the years. Head of the Herbology Department, Head of Gryffindor House, Governor (twice!) Fee has done it all and wrote the book to prove it. This term, she returned to the position of Head of Herbology and completely revitalized the department with record enrollment numbers and activity. Her writer has lost none of their mojo and we cant wait to see what else they do! Another member who proved their mettle as a creative force to be reckoned with, Kaelan McGonagall is probably best known today for their staggering daily post count. Kaelan has consistently been the top poster many times over, only being overtaken once by Lucy Weasley. They have demonstrated a deep dedication to HO and to all of role play, frequently stepping up to help out when needed and offering to help in other ways without even being asked. We are glad to have him back. thank you so very much and congrats to all! Congratulations to everyone else you deserve it!